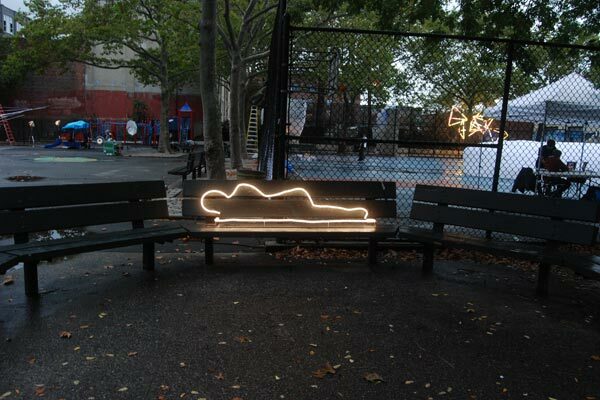 Public Art event organized by Bring to Light NYC (Nuit Blanche), in Greenpoint, Brooklyn. 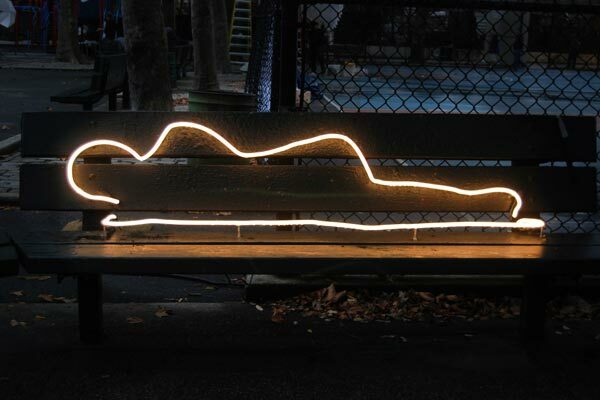 The Glowing Homeless is a neon outline of a human form resting on a park bench. 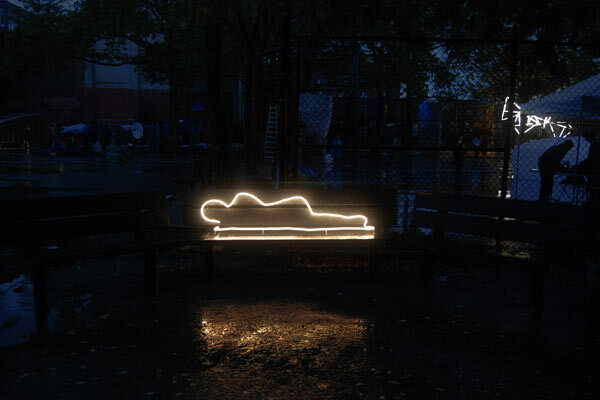 Representing the homeless person sound asleep amongst the park’s crowds, through a rendering of neon light, I created an alluring object for Bring to Light NYC. Through my implementation of attractive materials, I reversed the normal reaction of avoidance, and drew people towards the form on the bench.